Start off your visit on the 1st (Mon): get to know the resident critters at Rockhampton Botanic Gardens, get engrossed in the history at Rockhampton Heritage Village, and then look for all kinds of wild species at Capricorn Caves. To find other places to visit, reviews, where to stay, and more tourist information, read our Rockhampton trip planner . Use the Route module to find travel options from your starting location to Rockhampton. In July, daily temperatures in Rockhampton can reach 27°C, while at night they dip to 13°C. Finish your sightseeing early on the 1st (Mon) so you can travel to Rubyvale. Rubyvale is a town in the Central Highlands Region, Queensland, Australia. For more things to do, other places to visit, photos, and more tourist information, go to the Rubyvale trip planning tool . Getting from Rockhampton to Rubyvale by car takes about 4 hours. In July, daytime highs in Rubyvale are 27°C, while nighttime lows are 11°C. You'll set off for Barcaldine on the 2nd (Tue). Barcaldine is a small town and locality in the Barcaldine Region in Central West Queensland, Australia. Kick off your visit on the 2nd (Tue): appreciate the history behind Tree of Knowledge Memorial, then take an in-depth tour of Australian Workers Heritage Centre, and then pause for some photo ops at The Great Shearer's Strike Memorial. 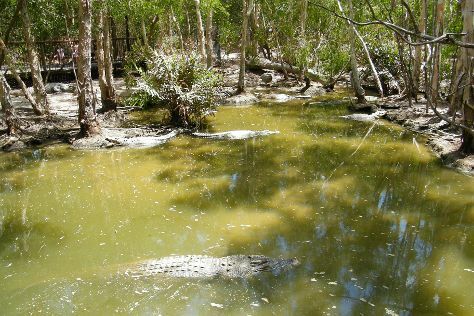 Plan a Barcaldine trip in moments using our itinerary builder. Getting from Rubyvale to Barcaldine by car takes about 3 hours. Wrap up your sightseeing on the 3rd (Wed) early enough to drive to Longreach. Longreach is a town in Central West Queensland, Australia approximately 700km from the coast, west of Rockhampton. Get a sense of the local culture at Australian Stockman's Hall of Fame and Outback Heritage Centre and Longreach Powerhouse Museum. You'll explore and learn at QANTAS Founders Museum and Outback Pics. Get out of town with these interesting Longreach side-trips: Outer Barcoo Interpretation Centre (in Isisford) and Ilfracombe (Wellshot Centre & Langenbaker House). There's still lots to do: contemplate the long history of Longreach, stop by Spinifex Collections, make a trip to Captain Starlight of Starlight's Lookout, and head outdoors with Spirit of the Outback Train. To find out how to plan a trip to Longreach, use our trip itinerary maker. Drive from Barcaldine to Longreach in 1.5 hours. In July, daily temperatures in Longreach can reach 28°C, while at night they dip to 10°C. Wrap up your sightseeing by early afternoon on the 8th (Mon) to allow enough time to travel to Winton. Winton is a town and locality in the Shire of Winton in Central West Queensland, Australia. Start off your visit on the 8th (Mon): see the interesting displays at Australian Age of Dinosaurs, then see the interesting displays at Waltzing Matilda Centre, and then examine the collection at Qantilda Museum. For where to stay, other places to visit, maps, and more tourist information, read Winton visit planning app . Traveling by car from Longreach to Winton takes 2 hours. Cap off your sightseeing on the 9th (Tue) early enough to travel to Hughenden. Hughenden is a town and locality in the Shire of Flinders, Queensland, Australia. On the 9th (Tue), examine the collection at Flinders Discovery Centre. For reviews, other places to visit, and tourist information, you can read our Hughenden trip builder site . Traveling by car from Winton to Hughenden takes 3 hours. In July, plan for daily highs up to 30°C, and evening lows to 13°C. Wrap up your sightseeing by early afternoon on the 10th (Wed) to allow time for travel to Charters Towers. Charters Towers is a town in northern Queensland, Australia. 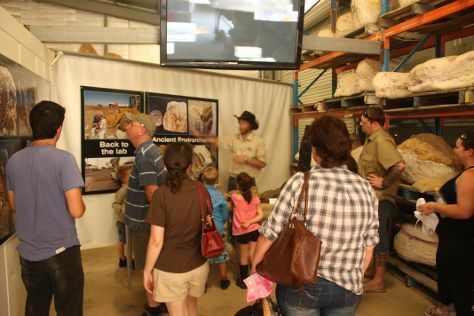 Kick off your visit on the 10th (Wed): contemplate the long history of Charters Towers Venus Gold Battery, take an in-depth tour of Zara Clark Museum, see the interesting displays at Assay Room and Mining Museum, don't miss a visit to Stock Exchange Arcade, then browse for treasures at The Miner's Cottage, and finally contemplate the long history of Towers Hill Lookout and Amphitheatre. Plan my Charters Towers trip by asking Inpirock to come up with tips and suggestions. Getting from Hughenden to Charters Towers by car takes about 3 hours. Finish your sightseeing early on the 10th (Wed) so you can travel to Mount Surprise. Mount Surprise is a town and locality in the Shire of Etheridge, Queensland, Australia. On the 11th (Thu), head outdoors with Mount Surprise Gems - The Gem Den. To find more things to do, where to stay, other places to visit, and tourist information, use the Mount Surprise holiday planning app . Traveling by car from Charters Towers to Mount Surprise takes 6.5 hours. On the 12th (Fri), wrap the sightseeing up by early afternoon so you can travel to Palm Cove. A small community of about 1,200 people, Palm Cove sits beside the clear blue waters of the South Pacific. Museum-lovers will appreciate Village Gallery and Doongal Aboriginal Art Gallery Kuranda. Kids will enjoy Palm Cove Beach and Kuranda Koala Gardens. Explore Palm Cove's surroundings by going to Crystal Cascades (in Redlynch) and Kuranda (Barron Falls, Birdworld Kuranda, & more). 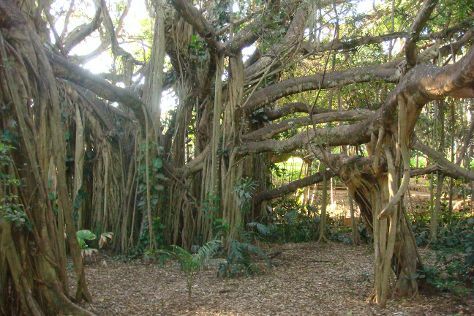 There's lots more to do: identify plant and animal life at Hartley's Crocodile Adventures, make a trip to Henry Ross Lookout, relax and rejuvenate at some of the best spas, and take in the architecture and atmosphere at St Saviour's Anglican Church Kuranda. To find where to stay, more things to do, maps, and other tourist information, read Palm Cove trip maker . You can drive from Mount Surprise to Palm Cove in 7.5 hours. July in Palm Cove sees daily highs of 30°C and lows of 20°C at night. Wrap up your sightseeing by early afternoon on the 16th (Tue) to allow time for travel back home.